You might have noticed our fall calendar is already filling up with a whole lot of can’t-miss shows. 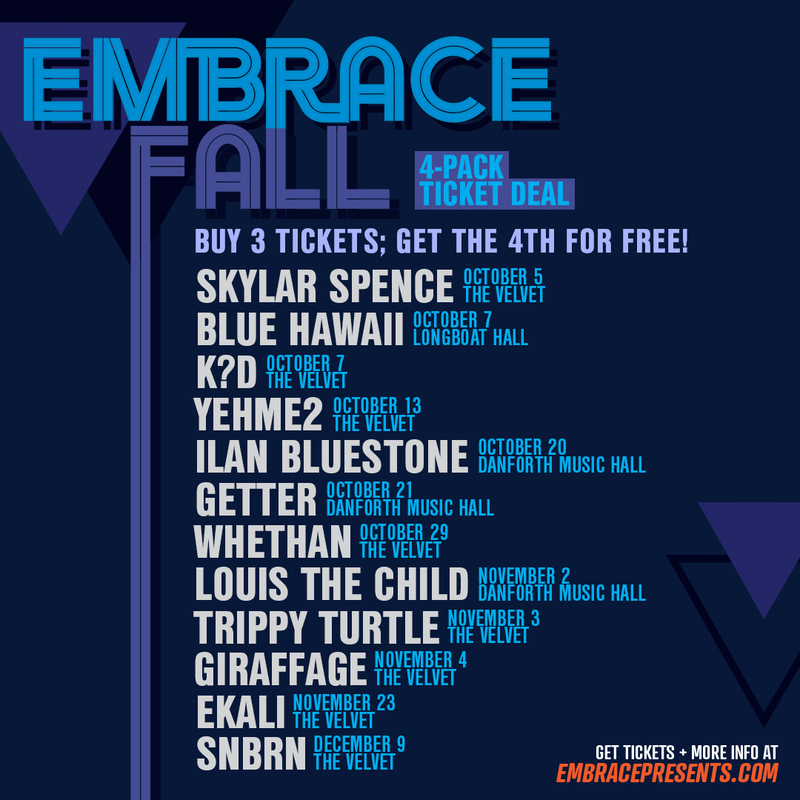 If you’re thinking about what to go to, we’ve got good news if you’re trying to convince your friends as well: the Embrace Fall 4-Pack Ticket Deal. For select upcoming shows, we’ve put up ticket packages. You buy 3 tickets to any one show; we’ll give you the 4th ticket for FREE!